Sleek, stylish and powerful, the Hylex puts all of the performance benefits of hydraulics into the hands of the rider. 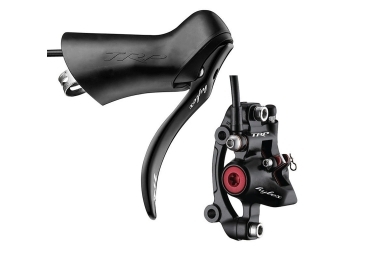 This is a full hydraulic disc brake system for drop bars. It sports an integrated master cylinder in the low-profile ergonomically shaped lever body. This brake is for single speed aficionados, the riders who bridge the classic and reverent with speed.